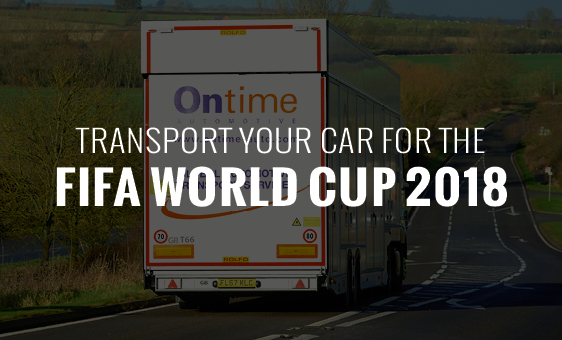 The FIFA World Cup 2018 starts in Russia on June 14th with the final just over a month later on July 15th, and if you’re planning to head to the host nation, Ontime can make sure you have your own wheels there via our professional, safe and secure car transportation services. We’re well versed in moving vehicles to and from Russia – we’ve repatriated plenty from the UK to Russia and vice versa in the past – and as our name suggests, we understand the importance of getting your vehicle to where you are on time. For a major event like the football World Cup, in a country the size of Russia, that’s even more important than usual. Host cities range from Saint Petersburg in the north to Sochi in the south, a distance of over 2,300 km, and from Kaliningrad in the west to Ekaterinburg in the east, over 2,800 km away. The longest of these would make for a 40-hour drive, but it doesn’t have to be that far, as some of the host cities are grouped much, much closer together. In the south, Sochi is only a nine-hour drive from Rostov-on-Don, which in turn is just about six hours from Volgograd, making it quite feasible to take a road trip between the three cities as each takes its turn to host World Cup matches. Other Russia World Cup road trip routes include the easternmost host cities of Ekaterinburg, Kazan, Saransk and Samara, or in the centre of the country, Moscow and Nizhny Novgorod. Wherever you choose to spend the summer, Ontime can make sure your car is there for you – no mean feat when some of the host cities are nearly 3,000 miles from London. Safe and secure international car transportation services are provided by Ontime Global Automotive Transport Services, our specialist vehicle transportation division for covered car transport and luxury car delivery across Europe including destinations in Russia. We deliver door to door, including on-time vehicle delivery to ports and airports as required for onward connections via ship or air freight, or to connect up with your passenger journey. Ontime can book the necessary roll-on, roll-off services and container shipping as required to get your vehicle to where it is going, and onward delivery all the way to the final destination, so that you do not have to coordinate multiple vehicle transportation services yourself. We use covered car transporters so your vehicle is protected against exposure to the weather and against bodywork damage, as well as making sure that it does not have to rack up 3,000 miles on its own engine and tyres just to meet you in Russia. And for luxury car transport, our hard-sided transporters give you peace of mind that your pride and joy will arrive looking every bit as polished as when you delivered it into our care, with battery charging to ensure that it is delivered in good driveable condition, no matter how long the journey.